Yellowstone County’s newest Industrial Park, the Lockwood Targeted Economic Development District (Lockwood TEDD) will be home to valued-added industries with over 600 developable acres of prime, planned industrial space. 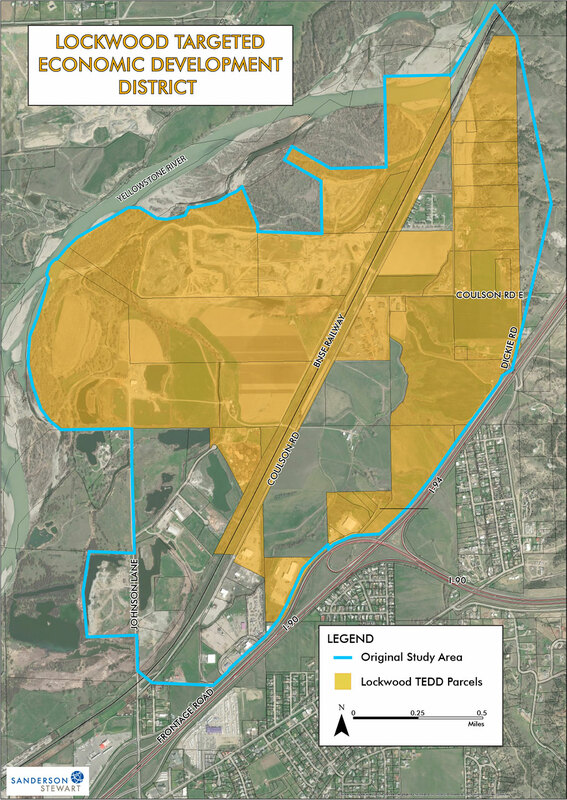 Yellowstone County Commissioners have approved both the Lockwood TEDD Strategic Plan and the Lockwood TEDD Infrastructure Master Plan, initiating the development of an industrial park between I-90/I-94 and the Yellowstone River north of Lockwood. The Lockwood Industrial Park offers acres of planned industrial space. It has excellent access to the Interstate, railroad, and Logan International Airport. It abuts the I-90/I-94 Interchange; it will be bisected by the Billings Bypass; and it straddles the BNSF mainline railroad tracks. It is conveniently located near Billings, the regional hub and the largest city in a 500-mile radius. The Industrial Park is envisioned as a catalyst to stoke the economic vibrancy of Yellowstone County by spurring the expansion of existing industry and facilitating the recruitment of new, value-adding industry to the region. The enhancement of existing roads and the addition of new roads to the network to facilitate access to the parcels. Two intersections with the Billings Bypass to avoid traffic congestion. Additional rail sidings and spurs to serve the delivery and shipping needs of the park occupants. The enhancement and extension of water, sewer, and storm drainage systems throughout the industrial park area. A variety of parcel sizes available, up to 40 acres or more. The Lockwood Industrial Park project is a Targeted Economic Development District (TEDD), meaning Tax Increment Financing (TIF) will be used to develop the infrastructure of the area. TIF provides that the increase in property taxes associated with the development of the area is funneled back into the area to finance the infrastructure needed to serve the district. This “increment” is available for this purpose for the duration of the TEDD – 15 years unless extended by bonding. The Increment is the result of increasing property values because of development within the district. In the early years of the TEDD, there may not be sufficient increment available to finance infrastructure for the initial Industrial Park occupants. It may be necessary for these early-adopters to install and pay for certain infrastructure improvements. However, development agreements can be arranged for these businesses which will provide for reimbursement of qualifying infrastructure expenses once the amount of tax increment is sufficient. How does a TEDD work? Targeted Economic Development Districts (TEDDs) assist local communities in addressing infrastructure deficiencies in order to support the retention, expansion and location of value-adding businesses and industries. Tax Increment Financing or “TIF” is a funding mechanism which can be used to help fund public infrastructure and associated services in Targeted Economic Development Districts (TEDDs). A TEDD creates a partnership with private industry to address the needed public infrastructure that then supports private investment. 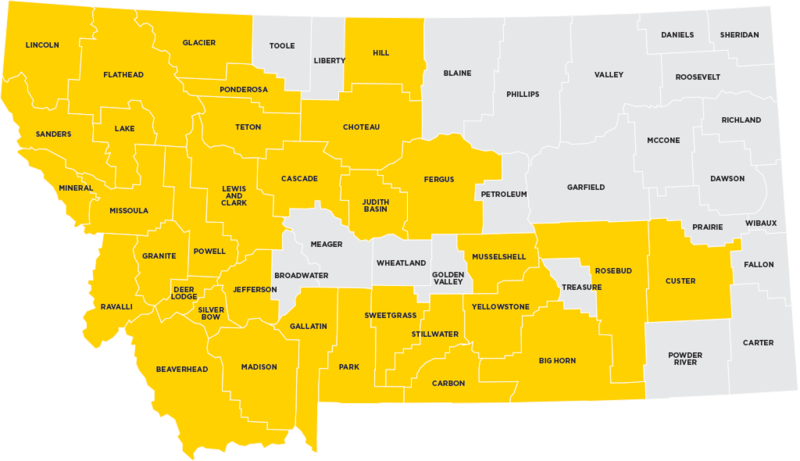 TIF is authorized under Montana Code Annotated § 7-15-4282 and enables communities to direct property taxes from new development within a designated infrastructure-deficient geographic area to various public development activities. A base year is established from which incremental increases in property values are measured. How are tax increment dollars used? What are some of the allowable uses of tax increment funds? What other tools can local governments use with tax increment funds to help offset the steep costs of public infrastructure? Gas and Diesel Tax Distributions to Counties, among others. How will TEDD impact Lockwood taxing entities, including the schools? Each taxing jurisdiction continues to receive property taxes levied against the TEDD’s base taxable value. Only the incremental tax dollars received from new development are placed in a separate fund for making public improvements within the TEDD for 15 years. So: $37,758.32 is available to invest in public infrastructure every year until the TEDD expires. This also means that the private sector had to FIRST invest $2,000,000 to generate that increment. How will taxpayers in the TEDD be affected? There is no financial impact on taxpayers. The TIF provision ONLY affects the WAY in which new property tax dollars (based on new value) are distributed. As always, taxes paid are based on the value of your property including new improvements. Property owners benefit, however, because infrastructure improvements are made in the area in which their properties are located. Can the TEDD tool be used to plan growth? The TEDD tool can be used to plan growth. Should the Yellowstone County Commission elect to adopt the Resolution of Necessity with the Statement of Infrastructure Deficiency presented to them on March 6, then BSED, our consultants, and the Lockwood community will move forward to develop a Comprehensive Development Plan for the Lockwood TEDD. That Plan will address at minimum: a TIF provision; a description of the District; the TEDD’s goals; an analysis of infrastructure deficiencies and priorities; potential targeted industries; a list of activities and projects; District and program administration and management; funding strategies; TEDD Plan amendment procedures; and documentation of public comments made throughout the planning process. This allows Lockwood to plan for growth within and, to a certain extent, around the Targeted Economic Development District. What happens after the Comprehensive Development Plan is complete? That the area of the TEDD is zoned in accordance with the adopted Growth Policy. The Yellowstone County Commission will then hold a public hearing on the TEDD Plan following notification by mail of all property owners in the District and through the placement of a legal advertisement. 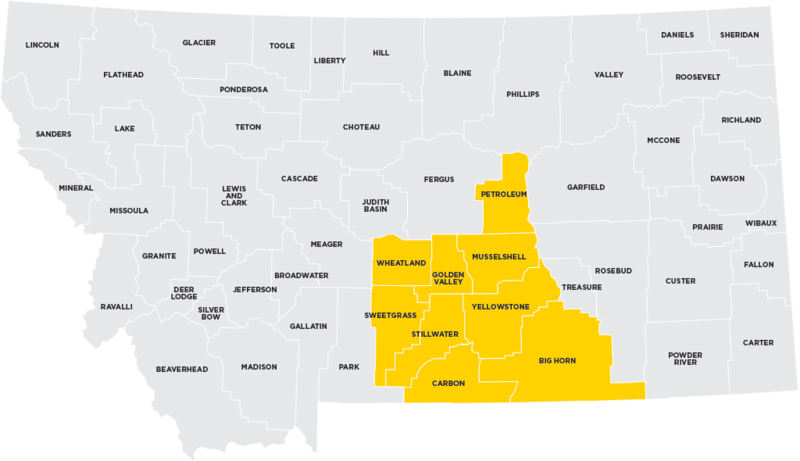 BSED will ask the Yellowstone County Commission to consider adopting the Ordinance that creates the TEDD, which, if adopted, will be effective 30 days after passage. BSED will submit materials to the Montana Department of Revenue for Certification. The Yellowstone County Commissioners created the Lockwood TEDD Advisory Board in March of 2018 and appointed members. 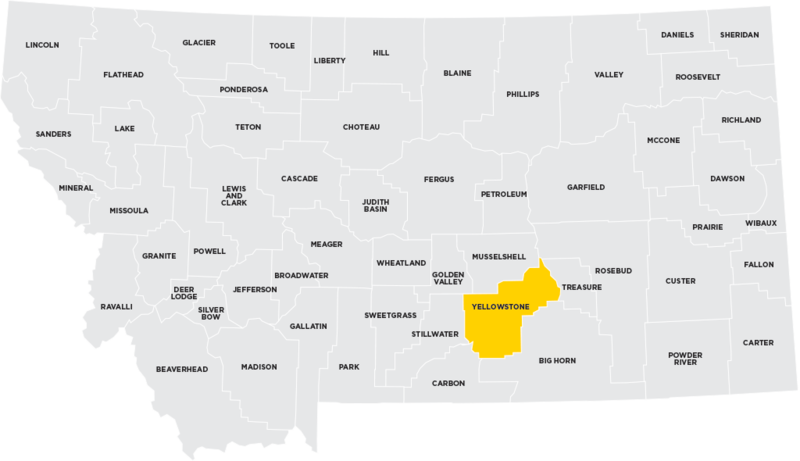 The board is established to advise the Yellowstone County Commission in developing annual work plans, setting priorities and developing strategies for implementation of the recommendations in the Lockwood TEDD Strategic Plan and the Lockwood TEDD Infrastructure Master Plan.